Macquarie Care is a not-for-profit organisation, the church in action in the community, bringing kindness with no strings attached. Macquarie Care partners with community members and groups to develop programs to enhance connections and life styles.  Donations to Macquarie Care are tax deductible. Our Backyard - Car to Home Project is a designated private car park space that allows men, couples, women or families who are sleeping in their cars a place to park and sleep, in the Newcastle and Lake Macquarie areas. Shine is a three day intensive program facilitated by Macquarie Care team and volunteers that focus on the core concepts of WORTH . STRENGTH . PURPOSE . The Strength personal development program for 11 to 17 year old boys aims to equip participants with the knowledge and skills needed to develop greater self-awareness and personal growth. ​from 10:00am to 12:00pm, during school terms. Seniors Cafe is a social program for seniors in our local community. The Arts. For more information click below. The community support for Macquarie Care is an important part of the work we do.